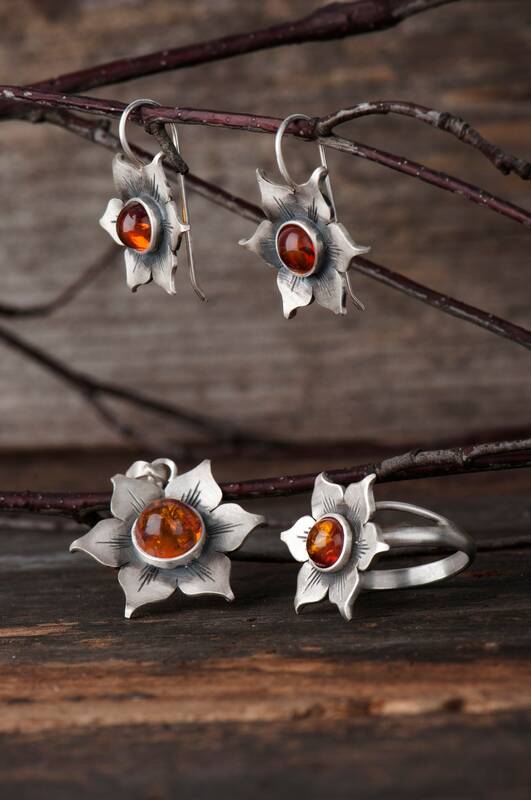 Are you looking for a unique Baltic amber jewelry? 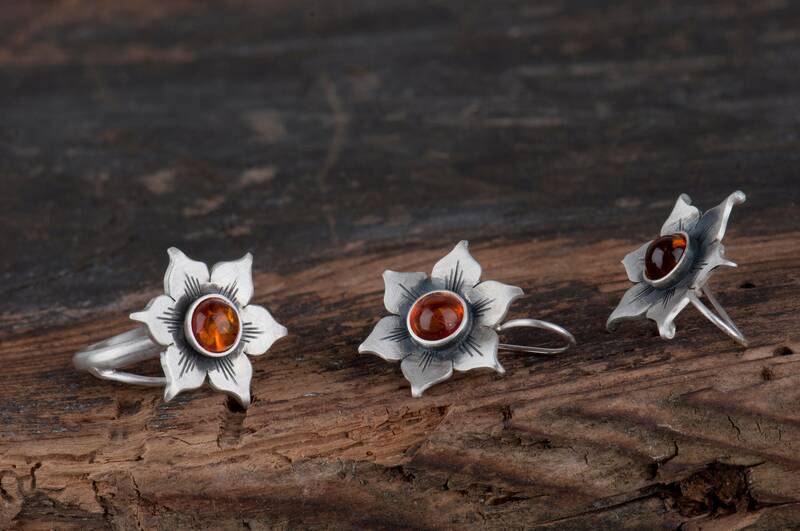 In my store I have a few pieces with this charming natural stone but here I offer you a floral ring which is really special to me. 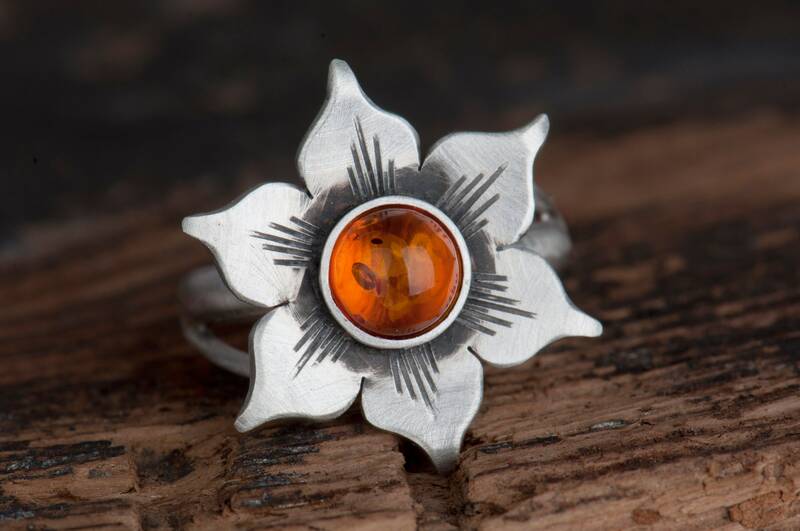 The design of this ring was inspired by a blooming sunflower and it's one of my oldest creations - I still have the first ring in this shape which I made several years ago. 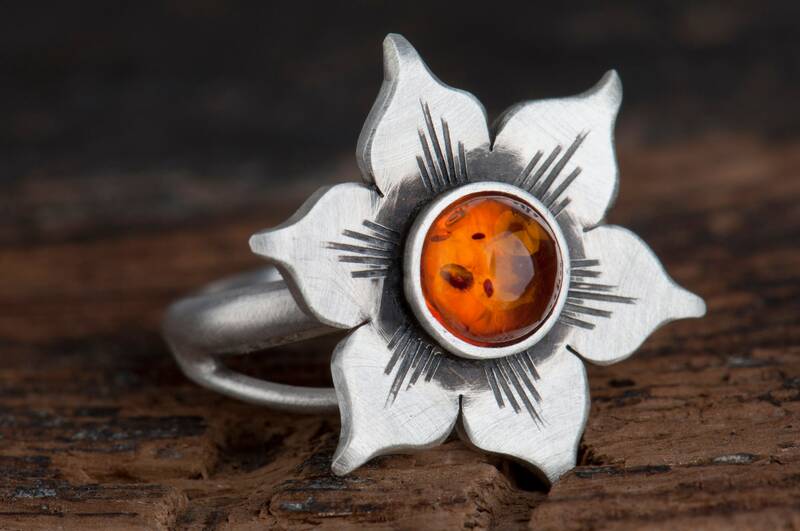 From that moment I learned a lot and the idea of a flower ring has evolved in my mind. 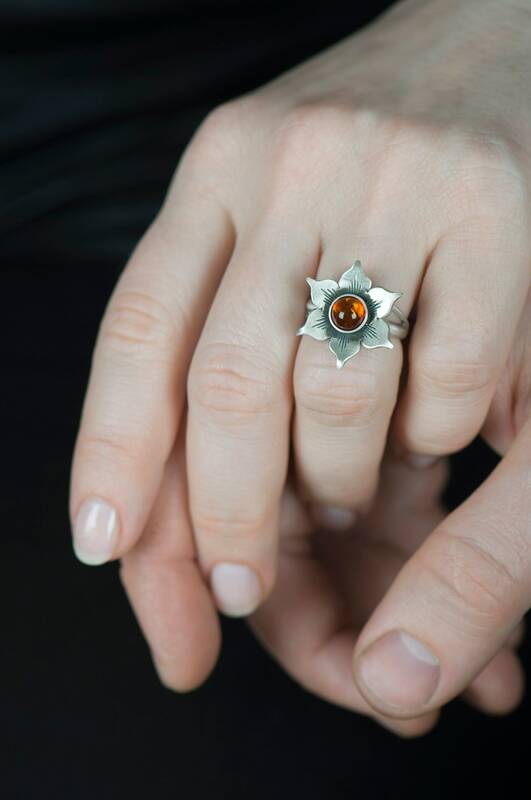 I want to find balance between a quite big size of the ring and the real comfort of wearing it every day. So I focused on making the flakes - I wanted them to look sharp like natural ones, but also to do no harm to other fingers. The results you can see on the photos. 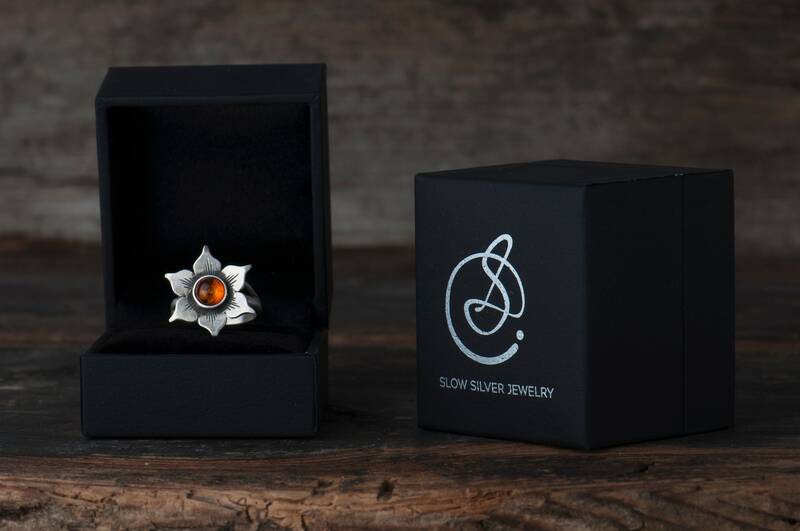 This floral ring is handmade, so it means that I need time to make it and it takes usually up to 7 days. The ring will arrive in an elegant black jewelry box so if you intend it as a present you don't need to worry about a gift box. 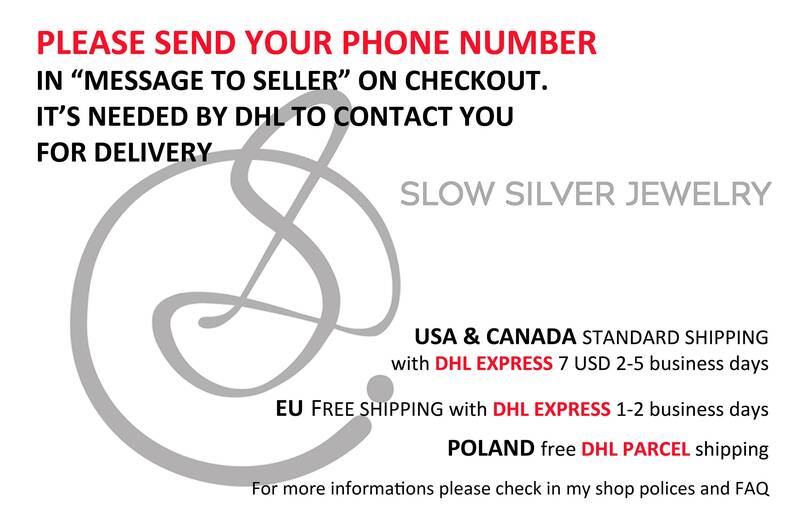 If you wish there is no problem for me to send the package to a third party including a gift card with personal message from you. 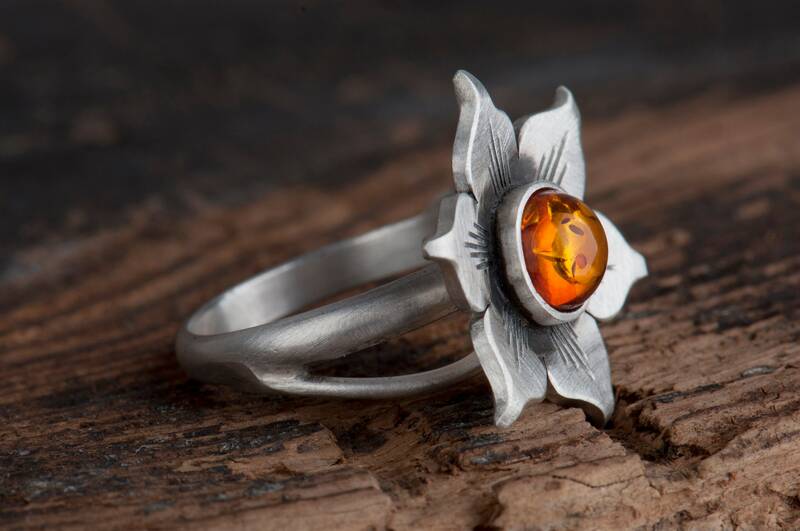 Please keep in mind that I use natural components and make my jewelry entirely by hand so no two stones and rings will look the same. 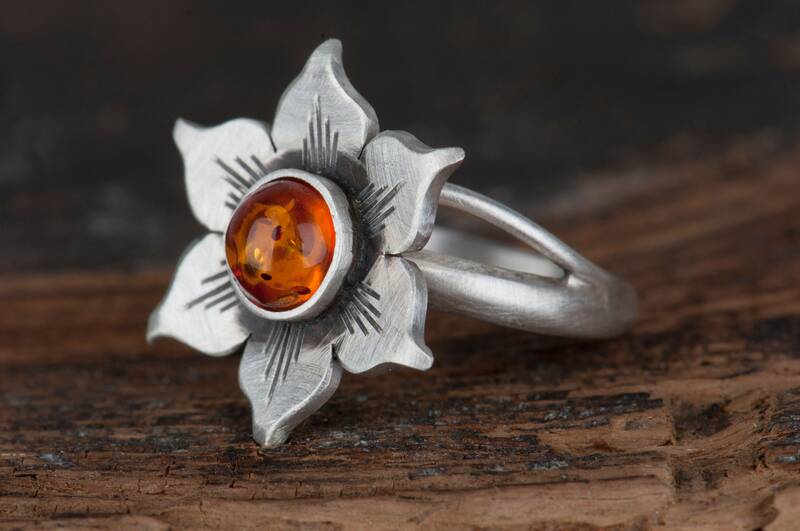 I have many stones in my workshop - if you want any other stone instead of Baltic amber just let me know and we chose together the one which fits you the most. 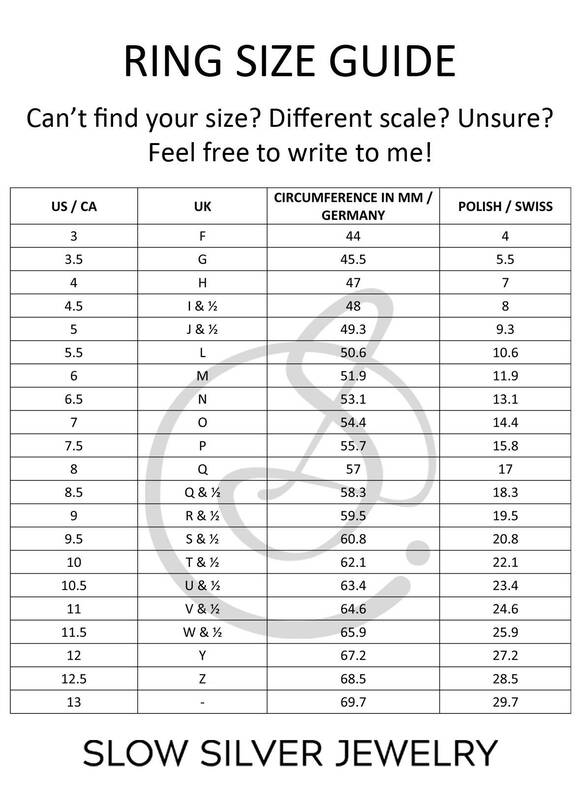 If you have any questions before or after placing the order please send me a message.